NintenGen: The Facts: Nintendo NX Using Nvidia or AMD Which is More Likely? 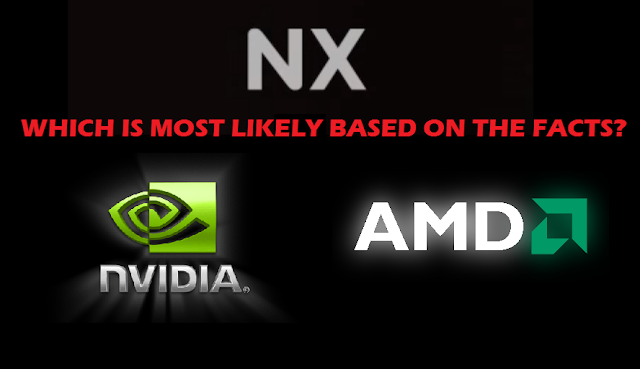 The Facts: Nintendo NX Using Nvidia or AMD Which is More Likely? Nvidia has not forecasted to their investors any new revenue (money to be made) for any volume orders of chips for the fiscal year. Nvidia Tegra X1 or X2 would not be the actual chip Nintendo would use, it would need to be custom build, hence a Semi-Custom design. There is none like this for Nvidia anywhere to be found and no evidence to support that anything is even being made. AMD Publicly stated multiple times since October 2014 to July 2016 that they are focusing on the Semi-Custom design business with multiple design wins already successfully under their belt with the Wii U, Xbox One and PlayStation 4 SOC designs. AMD Announced in April 2016 they expect over 1.5 billion dollars in revenue of Three Semi Custom design wins over the next 3-4 years. AMD Announced the RX480, RX470 and RX460 at 14nm size, which is smaller than Nvidia’s 16nm upcoming Tegra X2 – which is not designed or targeted for gaming - and far more powerful for the cost (RX470 is 5 Teraflops starting at $179). AMD Announced in July 2016 that Xbox Scorpio was one of the Semi-Custom Design wins to be released in Fall 2017, with two more coming, one expected by Fall 2016 (This is highly likely to be Neo) and the Third Semi-Custom Design when they have quote: “More Visibility” to do so – Biggest Hint at Nintendo NX that there is. AMD Announced in July 2016 that they have more Semi-Custom Design wins beyond just the Three and are trying to get away from numbering them at this point. Based on the actual evidence shown above, the chances of Nintendo using Nvidia for any of its upcoming products seems extremely unlikely at this time. A logical theory that makes more sense from these reports of Nintendo using a Tegra X1 in the NX Portable Console device is that they may have used a Tegra X1 as a placeholder chip until the final product was/is ready, this would explain a great deal because Nvidia would not be counting projected financial revenue with the limited number of Tegra X1 chips for Nintendo to purchase for the dev kits limited supply of test units and it would not need to be custom because as most people know pre-release Dev Kits are very non-form fitting devices that simply function for testing a product that is not completed. It should be noted that the Nintendo 3DS was reported using a Tegra chip before the final model ended up using the Pica200 GPU instead. The report by Eurogamer may very well have been given old information on the Nintendo NX Portable Console based on all the real evidence we have reviewed since there is no evidence, especially financial projected data to support Nvidia working with Nintendo. I can't see why the handheld wouldn't have Tegra X1. Even underclocked it should be plenty capable for 720p ports of any PS4 or XB1 games. Moreover, there is a reason why AMD announces their semi custom design wins, because the HAVE to. Nvidia is in a far better position in the market, they don't need to rush and tell investors their design win ahead of time for no reason. For me that's hardly a big factor, although in this case, an underclocked custom X2 would be even better for the handheld, due to the new feats the X2 architecture would bring. I do think that for the home console an AMD Polaris is more likely BUT the Tegra X2 does have a lot of power as well, it could very well be an X1 for the handheld and a X2 for the home console. But in the end, I don't really understand why people are so focused in this Nvidia vs AMD dilemma, it's hardly important. It feels more like a way to whoever called it out before to be able to say so. If Nintendo chooses AMD or Nvidia, it won't affect the expected performance of the console, since when Nintendo asks for a custom chip, they already have in mind what kind of power they want. This discussion is pointless. Much more important is the discussion of multiple devices, when each will be launched or if they are going to be launched together or not. The overall power isn't that important because devs seem happy and excited, I hardly think they would if it was weak, so I'm not worried about power. What about the X1S? It's a bit more powerful than the X1, I think that counts as a Semi-custom chip. AMD specifially said that Scoripio was one of the SOC Design wins in the linked conference call from July of this year. They talked about XB1 S being "new SOC business" but were very clear that next falls Scorpio was a desgin win, "S" was just more money for them and a revision of the original XB1. Let us not forget that Nintendo has joined the Khronos Group Since September 2015. The Khronos Group announced the Vulkan API at GDC 2015. Vulkan is derived from and built upon components of AMD's Mantle API, which was donated by AMD to Khronos. The Khronos group mentions the possibility of Nintendo making hardware that uses Vulkan in their Vulkan FAQ page. Vulkan makes games more portable between different platforms. It is very possible that the NX handheld will use NVIDIA Tegra, while the NX Home Console will use Polaris. With Vulkan making porting easier, they could have the unified Game Library that they are aiming for, following the merge of their handheld & console divisions. I think they would ideally have both use polaris, but since polaris is not designed for portables they might have looked into NVIDIA's Tegra technology for a solution. In summary, I think we will see both, hence all the confusion in the rumors. What people don't seem to know is that a company like Nvidia would be *legally obligated* to announce any projects involving the use of money from investors. Xbox One S does not count as one of their design wins actually. @Renato S..... If you have a company listed on the stock exchange, isnt it the law that u have to report information that will affect share price. I don't know, but my initial view of your logic is that it is naive. 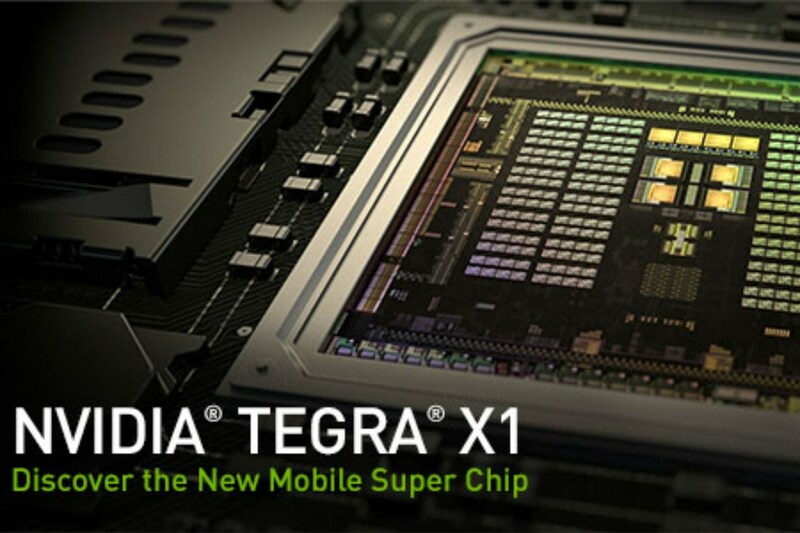 I believe that if anything Eurogamer says is true, that the tegra x1 would only be a placeholder, like the 3ds. 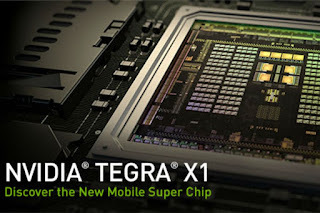 If the mobile device that Eurogamer "leaked" has any truth to it, I believe that the tegra x1 is just a placeholder, just like Nintendo used the tegra for the 3ds. They do make this talk because if they can figure out which one is, Nvidia X chips or AMD chips, that might clear away what the NX is...a home console? A handheld console? A hybrid? This is why people are so eager to get that information. Aside from the usual power talk, you do know a lot of people want Nintendo to follow Sony and make a super powerful console. as always with nintendo it will be powerful enough for it to do what they need it to do. im more intrested in the system features and online infastructure. there was a rumour about being able to sync your mobile phone so you could recieve calls while playing and a social media bar for facebook, whatsapp and the like, that would be kool. A fully unified account system and a comprehensive Virtual console overhaul aswell as full voice and party chat is expected for me. Am i gonna recieve platinum or gold coins for completing games? VR and or AR? can we stream to twitch? my point is there is more to talk about than what gpu is in this thing because if its just as powerful as a ps4 but with the same thinking behind the wiiu online infastructure its going to struggle. keep up the good work dave. can't ignore the facts! Why are you so against the Eurogamer "LEAK"? Obviously the Eurogamer "LEAK" was a controlled "LEAK" by Nintendo. Nintendo doesn't want people to know about the NX Home just yet. You're so stuck on AMD. I understand the relationship between AMD and Nintendo. But Nintendo is about making money. If rumors are true Nintendo got a great deal by choosing Nvidia. The Nvidia gamestream sounds like what Nintendo wanted to do with the Wii U. And sounds a lot like how the NX Home and NX Go should communicate. I agree with pretty much everything but one factor: TSMC's 16FF+ process is not substantially "larger" than GlobalFoundries' 14FF so I don't think that would be a relevant factor. If anything, nvidia's Pascal graphics cards have a sizeable power efficiency advantage over their Polaris equivalents so far (GTX 1060 consumes ~20% less than the RX480 for a similar performance target). TSMC's 16FF+ may actually be more power efficient than GlobalFoundries' 14FF. Which makes sense because TSMC has been mass producing FinFet chips for over a year for apple's A9 chip, whereas Globalfoundries started only in Q2 2016. Some parts of the analysis is questionable at best. Yes, NVIDIA may be not the supplier of the NX processor but AMD looks way more unlikely to be. You forgot that AMD lack a GPU that could fit an handled device like di NX, for example the RX470 you mentioned consumes 150W of power! power efficiency is crucial for handled device. You made another big mistake, yes the feature size of 14nm AMD are using is a bit smaller than Nvidia’s 16nm but we are talking about transistors size, the design of a GPU could end up larger even if the feature size is smaller, for example the GPU on the RX480 is a good 30mm2 larger than the GTX 1060 one and yet the latter is also 10% faster while consuming less. Personally, I feel that Nintendo will use AMD hardware in the NX. One thing that I would like to bring to attention, is OpenPOWER CPUs and their future in modern computing. IBM's Power8 - Power9 processors are RISC based processors (Reduced Instruction Set Computing), RISC is a form of CPU operation / processing that performs simple operations at extreme speeds (comparatively). The Wii and WiiU both make use of RISC based processors (as too does all ARM (Advanced RISC Machines) processors). With a RISC processor hardware is relatively simple (and therefore cheap to produce), the simple nature of the hardware places a large burden on software to make high performance applications, RISC allows developers to gain full, unlimited control over the hardware that the application is being run on (hence the seemingly impossible performance of Nintendo's games on severely underpowered hardware (WiiU is from memory 1/3 -1/4 the raw compute power of the other consoles)). CISC (Complex Instruction Set Computing), is the method used in x86 processors. CISC is the polar opposite to RISC; it is relatively expensive, slower per clock cycle, produces applications of equal function at longer length (overall complexity), and due to the complexity of the architecture they are, relatively expensive to produce (think price of the ARM based processors in mobile / embedded devices). With a Power processor one large advantage over x86 is the native ability to be able to perform high performance, low overhead visualization as it is built into the chip (for a detailed explanation look it up), in short what this means for the x86 arch vs power is that it is very simple and does not take much brute force for a power processor to run x86 (or other arch) software where as a x86 would require much more computational power than the original hardware. What does visualization mean for a x86 based NX, quite possibly no backwards compatibility with the WiiU (ports would be not too much of an issue for select software, but would cost development and debug time), the virtual console may see a performance drop for a bit (though it should be no issue seeing as though th NX would have much more power than the WiiU and has been in development for quite some time, plus from what I hear the emulation is quite good on the NES classic (perhaps hinting at a Nintendo with expansive knowledge and practice with good quality emulation)). Personally, I would much desire Nintendo to informally reveal the NX form factor in the upcoming Pokemon sun / moon demo, that would surely set the internet afire and definitely be a good publicity stunt seeing as how hot the pokemon franchise is in a post Pokemon GO world. Aside from reveals, as long as the NX breaks the 2 tflop bar I will be satisfied for the next 5 years or so, and if the device is able to crunch more numbers via a external compute device (such as a Nintendo take on a external GPU) I've no doubt in my mind that it would be possible for Nintendo to take first place in the market. The OpenPOWER foundation is a wonderful thing for the end users, and businesses alike. As Moore's law fades out of existence we will need to start utilizing the full potential of the transistors that we cram into the silicon dies, this is where power processors really shine. Google has started adoption of Power8 and Power9, that is perhaps a taste of things to come as they are now one of the leaders in OS distribution (Android and ChromeOS). The WiiU uses a tri-core custom Power7 (IBM) based CPU. The WiiU uses a AMD GPU with DX11, so even if it was an AMD GPU in the NX that has the same computational limitations (assuming a modern variation with same performance), it would likely still be a faster console due to a better optimized API (Vulkan). IBM has been making strides with alternative material processors / transistors, with the production of 7nm transistors in labs publicized last year. The WiiU used a proprietary OS, where as PS4 runs on a unix (mac too is based on unix, or rather it is unix) based OS. Linux is a great kernel (Vulkan is open so there is hope) and if the NX were to utilize it in the creation of a new OS (with modification of course) that would nice.